How old is Wicca? Lost in the mists of time? Can it trace its lineage back to the dawn of mankind, or maybe later, to the builders of Avebury and Stonehenge? Well, you may be surprised to learn that, in fact, Wicca as we know it today owes much of its origins to a man born in an upper middle-class suburb of Liverpool in the late nineteenth century. 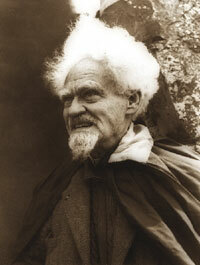 His name was Gerald Gardner and he is known and revered as the father of modern witchcraft and the religion of Wicca. Gerald Brousseau Gardner was born on Friday 13th June 1884 in Blundellsands, the third son of a wealthy timber merchant and his American wife. Gerald spent much of his childhood abroad, in the south of France, the Canary Islands, the Gold Coast and Madeira. This was ostensibly to avoid the cold British winters which aggravated his lifelong battles with asthma. He lived with his nursemaid, Georgiana McCombie (known as 'Com') but she appears to have been more interested in flirtatious liaisons than caring for a sickly child. As a result, Gerald virtually raised himself, teaching himself to read by looking at copies of The Strand Magazine. Formal education was definitely lacking in his youth, but he had an unquenchable thirst for learning, so taught himself everything he wanted and needed to know. He became a voracious reader and developed a particular interest in books on spiritualism, which led to a strong belief in the existence of an afterlife and the dawn of the future direction his life would take. Gerald carried on living abroad with Com even after she married a tea plantation owner in Ceylon (now Sri Lanka). It was generally assumed he would learn the tea trade and it certainly started that way. But, in 1907, he returned to Britain for a few months and became involved with some relatives who were interested in the paranormal. It was from this side of the family that Gerald learned that his grandfather had been rumoured to be a practising witch. Back he went to Ceylon and was initiated into the Freemasons. In 1911, Gerald and his father decided to sell the family's rubber plantation, which had proved to be an unsuccessful experiment. Gerald was now unemployed. He moved to Borneo and became friendly with members of the local indigenous population - the Dyak and Dusun people. He was intrigued by their customs, weaponry and the tattoos so many of them sported and he also developed a keen interest in their religious beliefs, attending seances. For the next few years, Gerald moved around Asia, from Borneo to Singapore, familiarising himself with the beliefs and way of life of the people he met there, while abhorring the racist attitudes of his British compatriots. Back in Britain in 1927, Gerald's interest in spiritualism and mediumship intensified and he became critical of what he saw in the Spiritualist churches he visited. He met and married his wife, Donna, and together they returned to Malaya, where Gerald's interest and involvement in Freemasonry stepped up significantly. He also became keenly interested in archaeology and joined digs around the country. Over the ensuing years, he and Donna spent their lives between Britain and Malaya and Gerald befriended famous archaeologists such as Flinders Petrie and Alexander Keiller (who had conducted extensive excavations in Avebury). Finally, in 1936, he acceeded to Donna's wishes and the couple moved back permanently to Britain. This proved detrimental to Gerald's health and, after a bout of illness, he was recommended to take up nudism. It was to prove a lifelong pursuit. He and Donna bought a house in Highcliffe, Dorset, and Gerald continued to develop his interest in spiritualism, which now extended to Rosicrucianism, with all its attendant magical and religious traditions dating back centuries. He also joined the Folk Lore Society and appeared to have acquired some rather dubious academic qualifications of which a number of fellow members were sceptical. Then, in 1939, he was taken by a number of disaffected Rosicrucians to the home of Dorothy Clutterbuck, a leading witch in the New Forest Coven, where Gerald was ordered to strip naked in order to be initiated. In 1945, Gerald purchased a plot of land near Bricket Wood in Dorset. 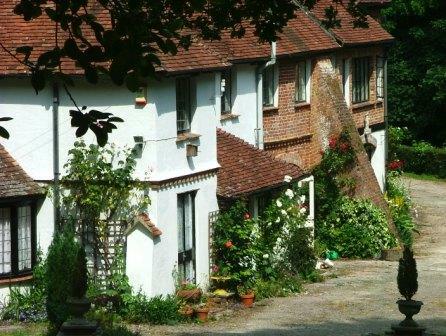 In 1947, he held a housewarming at the 16th century 'witch's cottage' which he had bought, from its site near Ledbury in Herefordshire, then ordered to be dismantled, transported and rebuilt on his land. The Bricket Wood Coven was born and Wicca was its Craft. By now, Gerald had also been initiated into the Ancient Druidic Order and attended the annual Midsummer rituals at Stonehenge. 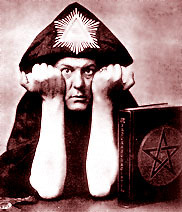 He had also met Aleister Crowley and became heavily influenced by him, rising in the ranks of his Ordo Templi Orientis. In fact, after Crowley's death in 1947, Gerald was regarded as the highest ranking member of the Order in Europe. 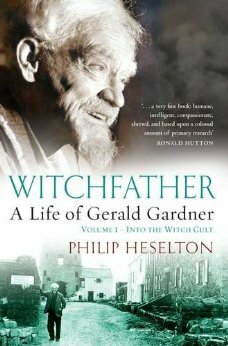 In 1951, Gerald and his wife moved to Castletown on the Isle of Man, where a friend - Cecil Williamson - had established the Folk-lore Centre of Superstition and Witchcraft. In 1954, Gerald bought the museum off him and renamed it The Museum of Magic and Witchcraft, which he ran until his death. Meanwhile, Williamson returned to England and founded a new Museum of Witchcraft which, after an uneasy birth, finally settled in Boscastle, Cornwall where it stands today, housing a unique and fascinating collection of artefacts and an extensive library. In 1954, Gardner published the most celebrated of his books, Witchcraft Today - and it is this work which has been deemed largely responsible for bringing modern witchcraft into the public arena. By now, a young woman called Doreen Valiente had asked to join the Craft and Gerald initiated her. She joined the Bricket Wood Coven and grew to become a highly respected Wiccan, responsible for eliminating much of the controversial Crowley doctrine from the Gardnerian tradition. She became High Priestess of the Bricket Wood Coven but, sadly, frictions developed within its ranks when Gerald attempted to reduce the powers of the High Priestess and introduce new rules, including one which would allow him to remove the High Priestess if he felt she was too old! He also upset his members by actively seeking publicity for what had, hitherto, been a largely secretive and private movement. Disgusted with this, Doreen went off to found her own coven, taking a number of members with her. In 1963, Gerald travelled to Lebanon to escape the British winter. While returning home on ship in February 1964, he suffered a massive heart attack and died. He was buried in Tunisia, which happened to be the ship's next port of call, at a funeral attended only by the ship's captain. Donna had died a few years earlier. During his life, he had amassed an amazing collection of artefacts from all over the world and he bequeathed these to various people, including some to Doreen Valiente. Sadly, this collection was broken up in the 1980s. 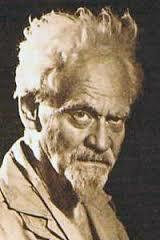 "Father of Modern Wicca. Beloved of the Great Goddess"
Interesting post. Thanks. I've shared this around. Many thanks,Lorelei. Much appreciated. Blessings to you too! Vat, these robots must have chewed my comment though I think I have learned how to beat them. Fascinating post about this quite secret order..